Do you need more information about this extension? 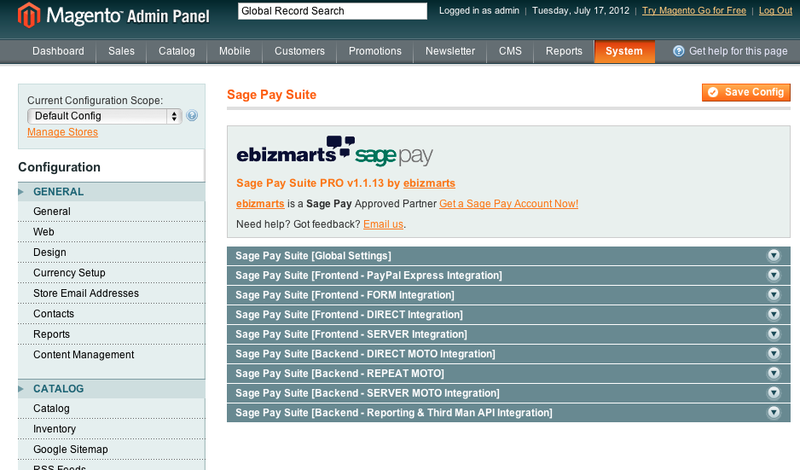 Sage Pay Official integration for Magento CE, EE and Zoey Commerce. Supports Magento Community and Enterprise Edition. Zoey is the world’s first eCommerce SaaS built from Magento Community. Made for merchants, the platform is easy to use, as flexible as Magento, and loaded with new features like design tools. It’s the perfect platform for growing online businesses and starts at just $89/month. Visit Zoey Commerce to learn more. The choice of over 5000 LIVE Sage Pay vendors. 12 months of FREE Phenomenal Email Support. Emails are answered within 4 hours (usually minutes) on business days. Free upgrades during 12 months support period. Support Renewal available at discounted rates, contact us if your license key is over one year old. Installation service included in price. 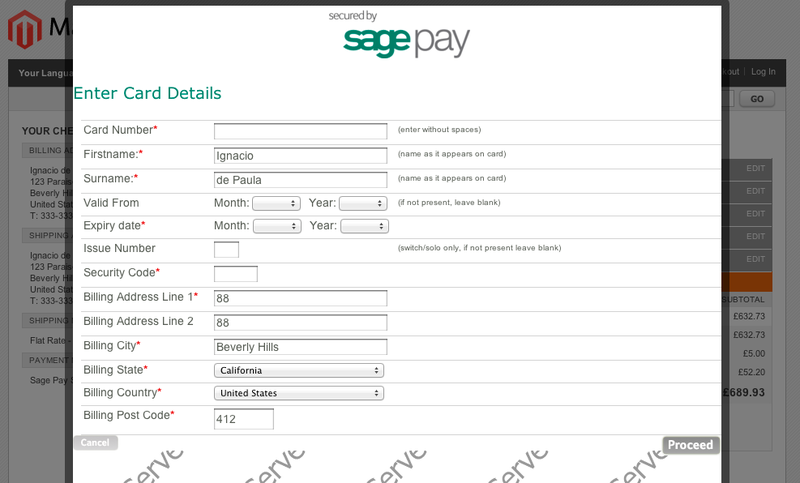 Supports all Sage Pay integration protocols, including Direct, Server (inFrame), FORM, PayPal and Local European Payments. Frontend and Admin/Backend (MOTO) payments supported. Supports Payments, Defer and Authenticate/Authorise. Multiple currency support (GBP, EUR, USD, AUD... and any other currency that you have enabled in MySagePay). 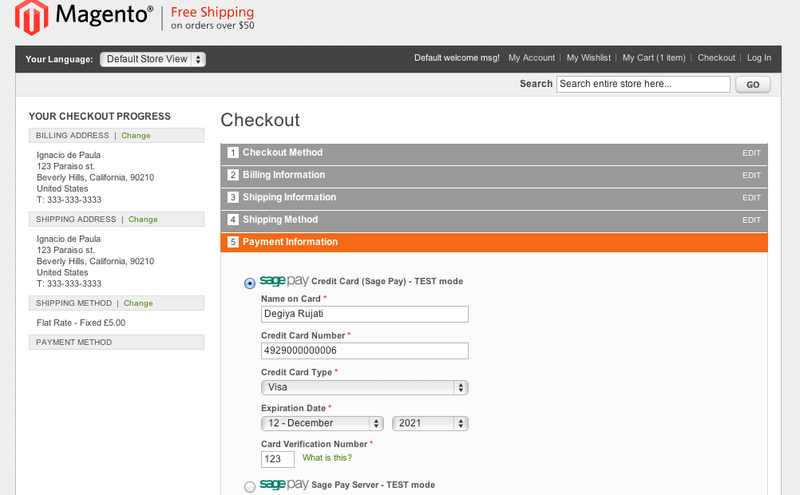 Select your Magento store version (either CE or EE). Enter your Magento store LIVE or DEV domain. Once you complete the order process you'll receive an email with your license keys, installation directions and download link. Additional licenses for the same Magento installation cost £40 each. Additional DEV licenses (up to 3 per order) are free. Magento EE version comes with 5 licenses (1 main license + 4 additional licenses). Need installation assistance or additional domain licenses for this extension? Contact us. We offer 30 days money back guarantee that covers any defects the extension may have. Incompatibilities with other extensions and errors not related to Sage Pay Suite Pro are not covered by this policy. Support for 3rd party checkout modules is limited, check compatibility status here before purchasing. If you need further clarifications please Contact us. Supports the latest security patches SUPEE-6788, SUPEE-7405 & SUPEE-7616. 12 months of FREE Phenomenal Email Support. Emails are answered within 4 hours (usually minutes) on business days. Free upgrades during 12 months support period. Support Renewal available at discounted rates, contact us if your license key is over one year old. 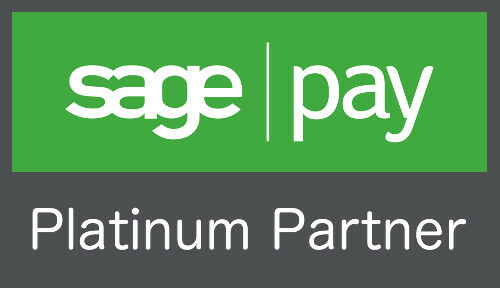 Created in close collaboration with Sage Pay. Supports Refunds. A refund is automatically triggered when a Credit Memo is created from the Invoice page. Sage Pay Direct. 3DS checks open in a lightbox in the checkout page. Sage Pay Form. 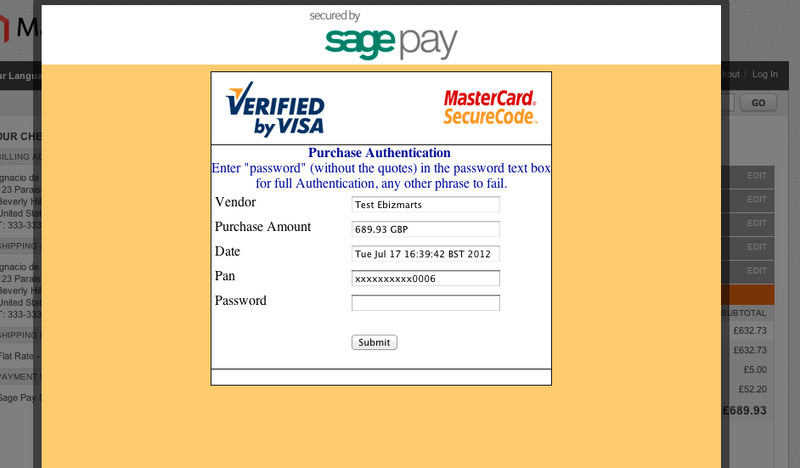 Redirects users to Sage Pay's hosted payment pages. Token System for Server (inFrame) and Direct protocols. PCI DSS saved credit cards, improves conversions for returning customers. 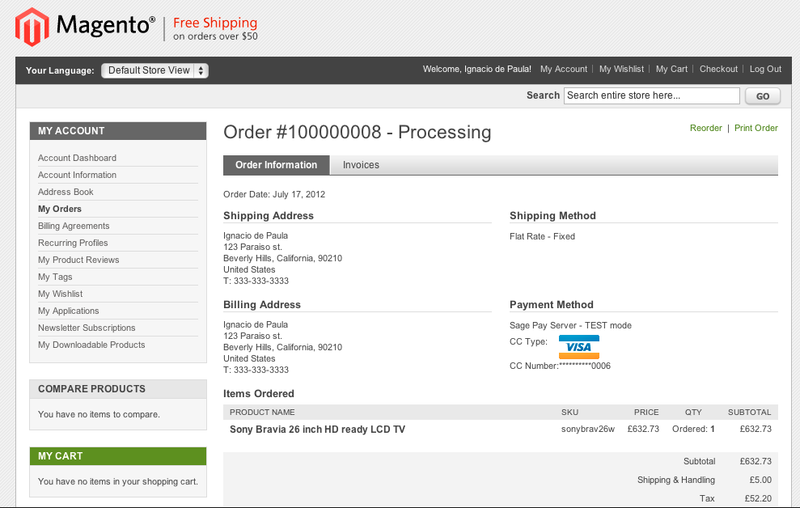 Multiple Address Checkout, limited only to the Direct Protocol (with no 3DS) and Server (inFrame). Magento events (observers) have been used to avoid conflicts with other extensions. Automatically Release Defer orders by 3rd Man Fraud Scores (via Cron Job). Whitelist IP Addresses. Solves error 4020. Please check our Wiki for setup directions.